Obituary for Adela A. 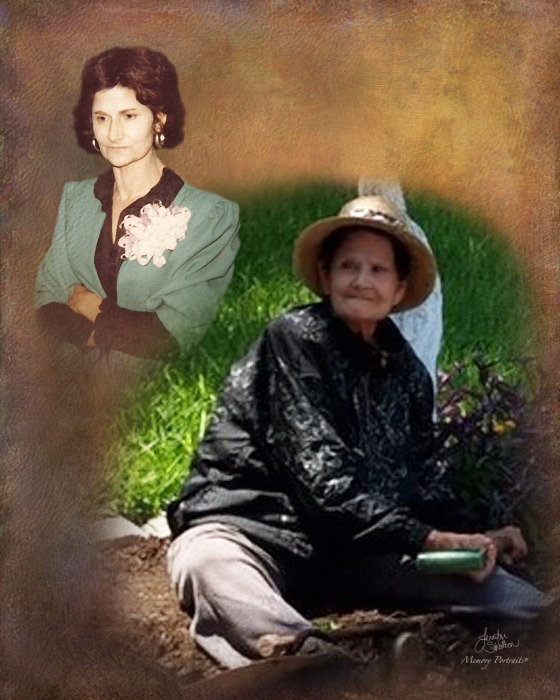 (Albarado) Chavez | Rushing-Estes-Knowles Mortuary, Inc.
Adela A. Chavez of Sabinal passed away on April 3, 2019 at her residence at the age of 82. She was born on May 21, 1936 in Uvalde to Gregorio Albarado and Ofelia Davis. She married Pedro T. Chavez, in Sabinal on March 21, 1961. She is survived by her daughters, Louanna Chavez of D’Hanis, Rosana Chavez of Sabinal and Ofelia Chavez of San Antonio; son, Pedro Chavez, Jr. of San Antonio; grandchildren, Saida Torres, Isaiah Torres, Daniel Rodriguez, Joshua Rodriguez, Hannah Rodriguez, Alexandra Rodriguez, and Jordan Bridges. She was preceded in death by her husband; parents; sisters, Maria Rodriguez and Manuela Zamarron; Julia Contreras, Francisca Salinas, Genoveva Pulido, Zenona Alvarado, Canuto Alvarado, Gregoria Alvarado, Jr, Zijifredo Alvarado, and great grandson, Mateo Mendiola. Visitation will begin on Friday at 5:00 p.m. at Rushing-Estes-Knowles Mortuary in Sabinal. A rosary will be held on Friday at 7:30 p.m. at Rushing-Estes-Knowles Mortuary in Sabinal. A funeral mass will be held on Saturday, April 6, 2019 at 11:00 a.m. at St. Patrick’s Catholic Church. Interment will follow at Sabinal Cemetery. Pallbearers will be Mario Rodriguez, Joshua Rodriguez, Antonio Garza, Pedro Chavez, Jr., Isaiah Torres, Fred Davis, Zenon Davis and Cruz Rodriguez. Honorary pallbearer will be Dave Davis.